We first told you about Apple’s anticipated iPhone event a few days ago, when news concerning the “enormous” upgrade scheme first hit the Web. At the time, we noted how Cupertino was planning on sending owners of older iPhones an email encouraging them to upgrade to either the iPhone 5s or iPhone 5c. 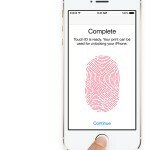 Customers would also be encouraged to trade-in their handset, too, using Apple’s in-store iPhone trade-in program. It’s a beautiful time for an upgrade. You may be eligible for upgrade pricing on a new iPhone. And if you bring in your old iPhone to be recycled, you could get credit toward a new one. Ask us for details. 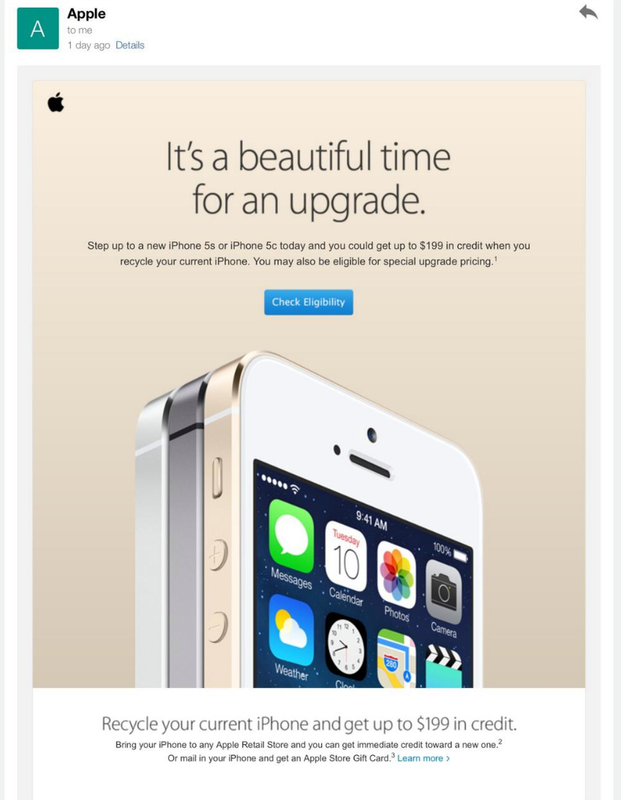 Apple has also increased the trade-in value of used iPhone 4 and iPhone 4s handsets: Cupertino is now offering $99 credit for an old iPhone 4 device, and up to $199 credit for an iPhone 4s. In-store staff have reportedly been told to promote the trade-in program as offering customers the chance of picking up an iPhone 5s for free. Of course, customers considering an iPhone upgrade should remember that Apple is planning a major iPhone release for fall. In fact, we heard recently that Cupertino’s 4.7-inch iPhone 6 could appear as early as August, with the anticipated 5.5-inch device launching the month after, in September. 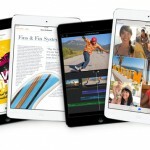 In the meantime, see: AppAdvice Daily: Use Your Third Eye And Ward Off Drugs With The Best New Games Of The Week, Walmart Is Offering $30 Off The 16GB Wi-Fi iPad mini For Mother’s Day, and AppAdvice Game Of The Week For May 9, 2014.